Colonialism leaves an ugly scar. Peru was once home to the powerful Inca Empire, but the 16th century saw the arrival of Spanish conquistadors who invaded, murdered their way through the indigenous peoples and began extracting as much of value from the country as they could. Present-Day Peru is still affected by this crime - in language, architecture, politics and culture. Victor Sánchez Rodriguez' play Cuzco (translated by William Gregory) tries to map out what colonialism means for contemporary Peru. His vehicle for this is two Spanish tourists, "She" (Dilek Rose) and "He" (Gareth Kieran Jones). They're on a pretty typical Peruvian backpacking holiday, hoping to explore the Ince Trail, eat some nice food, drink some beers and visit Machu Picchu. What actually happens is their already wobbly relationship falls apart - its faultlines widening under the pressure of being in an alien culture and their postcolonial guilt. She holes up in series of identikit hotel rooms and battles altitude sickness while walking the streets alone. He makes friends with a swinging couple and slowly socially excludes her. They bicker, and gets worse the further they travel. Though the action stays confined to hotel rooms, the dialogue effectively paints a picture of the world outside, particularly in the experiences of "Her". She is received by regular Peruvians as just another tourist - having a baby llama shoved into her hands for a photo op, being coerced into paying for a relaxing massage, or given a hard sell on bottles of water. She had assumed that Spain and Peru's shared language and various bits of culture would make her feel at home - but quickly realises that these surface similarities make the profound differences much more pronounced. When the play is dealing with their impressions of Peru it's at its best, but sadly the relationship drama doesn't hold up quite as well. Perhaps something has been lost in translation, but their arguments are often clunkily written, with the actors doing their best with dialogue that probably works well in Spanish but less so in English. In particular, there's a mini-monologue by "He" late in the play in which he seeks to prove he too has an artistic soul. I'll give the play the benefit of the doubt that it's a creative choice to have him deliver a word salad of tortured similes, but either way, it looks a pain to perform. Also, while I respect the play's willingness to engage with the long-term consequences of colonialism (a topic still generally swept under the rug in the UK), Cuzco still ends up being the story of a wealthy foreigner on a voyage of self-discovery through someone else's poverty. 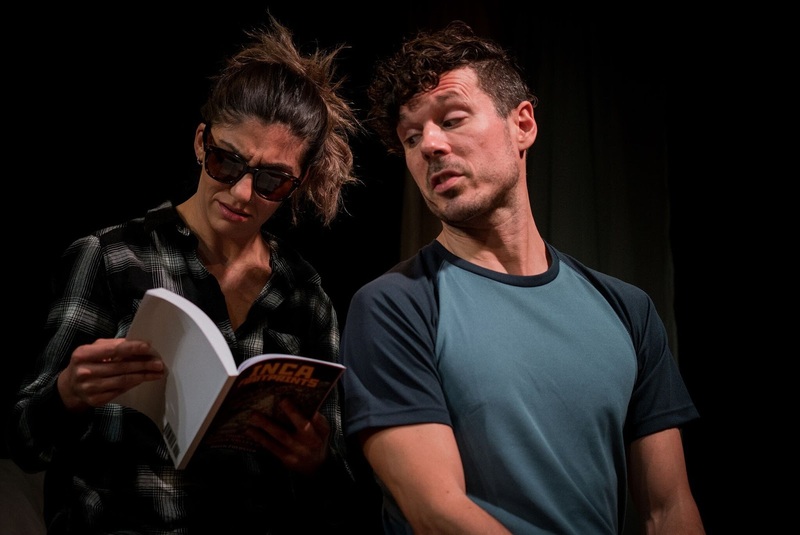 There are no Peruvian characters on stage, which makes them feel at best an abstraction and at worst a prop by which the female protagonist comes to terms with herself. It leaves Cuzco as an interesting play with several interesting moments and an intelligent sense of the weight of history, but one that gradually loses itself in melodrama. My brain was engaged, but I never genuinely cared about either of these characters. Eventually, their shared plight becomes tedious and by the time we get to the somewhat confusing ending I was checked out. Cuzco is at Theatre503 until 16 February. Tickets here.